London Mayor Sadiq Khan moves to ban body-shaming ads | HELLO! June 14, 2016 - 14:52 BST hellomagazine.com "I am extremely concerned about this kind of advertising which can demean people, particularly women"
Sadiq Khan, the mayor of London, has proposed a ban on adverts that promote "unrealistic expectations" about body image on the capital's transport network. The recently-elected mayor has told Transport for London to stop running the ads, which he says can "demean people, particularly women". In a statement released on Monday, the mayor said: "As the father of two teenage girls, I am extremely concerned about this kind of advertising which can demean people, particularly women, and make them ashamed of their bodies. It is high time it came to an end." He added: "Nobody should feel pressurised, while they travel on the tube or bus, into unrealistic expectations surrounding their bodies and I want to send a clear message to the advertising industry about this." 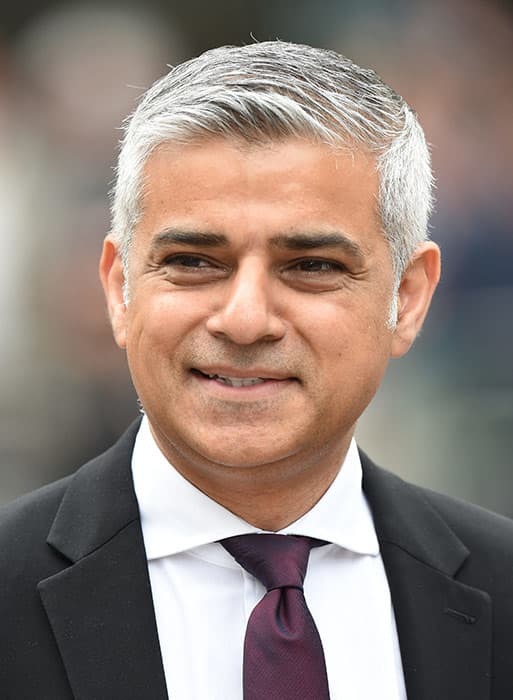 Mr Khan had previously pledged to tackle advertising on the tube network after a controversial ad from fitness brand Protein World was removed by TFL in April 2015, after thousands of complaints. The campaign for their weight loss range received heavy criticism for featuring a toned woman alongside the caption 'Are you beach body ready?' with many arguing that the advert conveys a negative body image and 'body-shames' those who don't have abs or look like the model in the photo. There were numerous calls from the public to have the adverts taken down – one petition to have the campaign banned garnered over 50,000 signatures. Meanwhile, over 200 complaints were made to the Advertising Standards Association, who are set to meet with the protein shake company this week to discuss its campaign and advertising policy.